Dr. Chau is very warm and professional. The office staff is friendly and efficient. Great first impression. 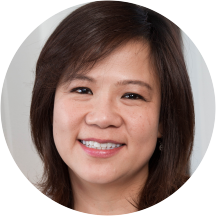 Dr Sydney Chau is a general dentist in Fort Worth, and is focused on the overall health of your mouth and teeth. By making sure dental visits are preventative measures rather than a way merely to handle advanced problems you will limit your costs and contribute significantly to your general dental health. Scheduling an exam and cleaning with Dr Sydney Chau at least once every six months can potentially avoid dental issues that require costly treatments or visits to a specialist. Dr Sydney Chau should also be able to help you with any routine restorative work you may need in addition to your preventative care. Filling cavities, replacing missing teeth with bridges, performing root canals, and repairing damaged teeth with crowns can usually be conveniently handled at Dr Sydney Chau's Fort Worth office. Dr. Chau is certified in Lumineers. I appreciated easy parking. All folks I dealt with were fine! Dr. Chau was amazing and Shannon was the best! They put me at ease and we’re extremely calming. She was professional, courteous, and respectful of my expectations in my overall treatment plan. I honestly can say that I am going to be a repeat customer from here on out. Very friendly staff and I didn't felt like customer. Although I was new , after few minutes of talking it seemed like I have been coming here for long time. Definitely recommend her !! Very Pleased with visit; she will now be my Dentist for all needs. Dr. Chau did a great job every time I went to visit her! Her as well as her staff were very helpful and friendly. One of the biggest benefits to this team is how timely they are. I never waited anymorethan around 10 minutes which was great since I had such a limited amount of time during my lunch break when I would go. I would definitely recommend using her office! One of the best root canals and crowns Dentist in this business! Very happy with the service, very professional and explains every detail of what shes doing. Thank you, very much. Brooke, the dental hygienist, was friendly, professional and thorough. She made me feel very comfortable. Overall a good experience. The doctor and her staff were very nice and professional. I would definitely recommend them to anyone. I think Dr.Chau and her office staff are the sweetest and helpful office. I would definitely recommend anyone to go see her.